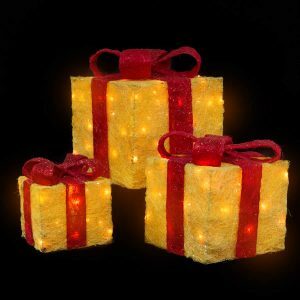 For a holiday display that is different than others found in your neighbourhood, check out these sets of three Red Sisal Gift Boxes with Mini Lights & adaptor. 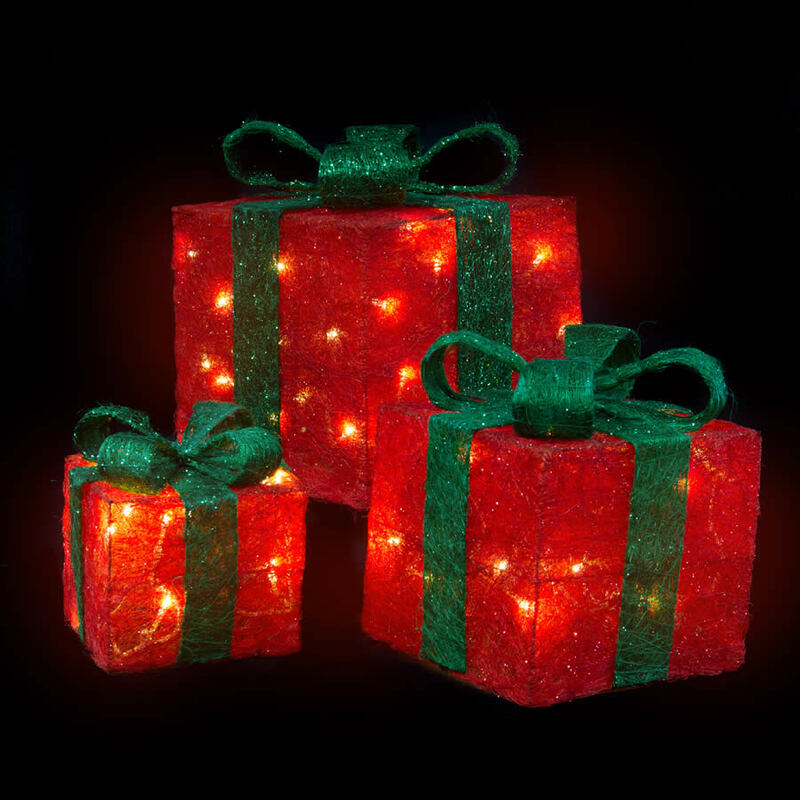 These bright red hewn boxes are affixed with clear LED mini-lights that will illuminate each festive package, from the inside out! The bright green bow makes a delightful sight for friends, passers-by, and others who visit your home during the holidays. 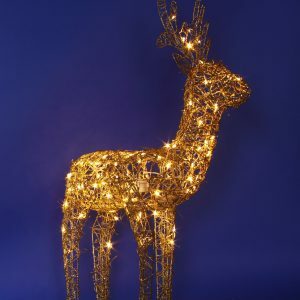 These Christmas Lights would be stunning in your home, under the tree or near the entry. They also would be a wonderful accent for the porch or covered patio. The boxes are attached and each set includes one adapter for the three. Ranging in size from around 15cm tall to 26cm tall, not including the bows. Children will be particularly captivated by the glowing gifts that you have in your home or near your tree; they will wonder if they are the intended recipient and when they get to open them! While they won’t be able to unwrap these gifts, you will be happy to display these charming boxes year after year, for many Christmases to come!